The Railway Protection Force (RPF) and Railway Protection Special Force (RPSF) have released the final merit list for RPSF Group F exam. Here is the process for checking the merit list and the procedure to be followed further. The final merit list for RPSF SI Group F is available at the official website. Candidates who have appeared for the PET/PMT can check the merit list at the official website. Click on ‘Final Merit List of SI/RPSF (Group F)’ link on the home-page. Now click on ‘Group F’ link to open the PDF file. The list of shortlisted candidates will appear on the screen. Find your name on the list. The shortlisted candidates will be called for the medical examination. Venue and timing of the examination will be shared with the candidates on their registered mobile number/email ID. Candidates are required to submit the duly filled attestation form at the time of the medical exam. “The empanelled candidates may contact Control Room, 6th Battalion, RPSF, Dayabasti, Delhi on phone number for assistance (P & T: 011-2365234, Mob: 9717636302),” states the official notification. RPF has also released the cut-off for all the Groups on the official website. Check out the RPF SI cut-off for Group A, B, C, D, E, and F.
RPF has announced the results and merit lists for Sub Inspector (SI) posts under Group A, Group B, Group C, and Group D earlier. The result of Group E and Group F were released on 5th February 2019. 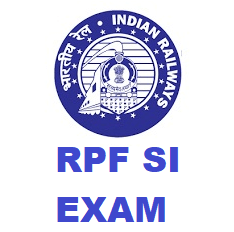 Now, the RPF SI result is available for all the groups. Candidates who have appeared for the exam can check the result on the official website. Click on ‘Candidates Shortlisted for PMT, PET and DV’ link. Click on the Group you have appeared for. Check your result using your roll number and name. Candidates who have qualified the written exam are to appear for the Physical Efficiency Test (PET) & Physical Measurement Test (PMT) and Document Verification (DV) process. The admit card for the same has also been released on the official website for some groups. The PET & PMT would be conducted on the date mentioned in the admit card. No request for a change in the exam date or city will be entertained under any circumstances. It is mandatory to appear for the DV process. Those who do not appear for the same will not be considered for the final selection, irrespective of their score in the written exam and PET/PMT.